Discussing long-term care with your parents is no easy task; family dynamics can sometimes prevent a conversation from becoming anything but productive. Fortunately, there are some ways you can get the conversational ball rolling (albeit gently) while helping your parents understand their options. Some topics you may wish to discuss are your parents’ finances and whether or not they want to consider things like Medicaid or Medicare. Additionally, you may also wish to discuss these options with a professional attorney who has in-depth knowledge and experience in elder care. Money can be a touchy subject, especially when children are discussing it with their parents. Nevertheless, it’s imperative everyone is on the same page when it comes to finances, including your parents’ cash flow and savings. Since this can be a sensitive subject, it’s best to discuss finances here and there without having one full, long, and drawn-out conversation. Ask about retirement funds, Social Security benefits they’re receiving, pensions, and current savings. You can even discuss the value of their assets, such as their home, as this may provide some financial support later on. While Medicaid and Medicare are the first insurance options that come to mind when considering long-term care, both have their limitations depending on the recipients and their needs. For example, Medicare is best for patients 65 years or older and helps cover healthcare costs for short stays at nursing facilities. It doesn’t, however, necessarily assist in covering long-term care. Medicaid, on the other hand, is geared more toward families with an income considerably below the poverty line. For two people, their income must be $21,000 or lower to qualify. Aside from Medicaid and Medicare, there are other options that can help with long-term care costs. 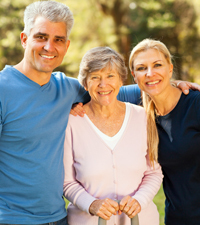 If your parents don’t qualify for Medicare and/or require more assistance than what Medicaid can provide, it may be wise to bring in a skilled professional with experience in elder law and knowledge about long-term care insurance plan options. If you’re trying to help plan for your parents’ long-term care, know that you have options as well as outside help. 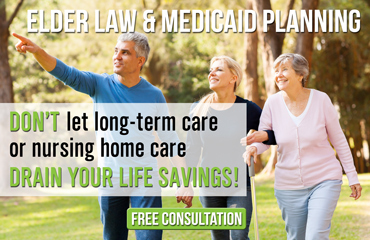 The Elder Law Firm PC understands long-term care and the many insurance plans available for your particular needs. If you’re looking at things like Medicaid, Medicare, and/or long-term care insurance, call us today at (877) 933-7252 to learn more about your options.